If law students are annoying, then pre-law students are twice as annoying. There’s something about observing these lemmings scrabble their way into the maws of ruthless law schools, despite dire warnings and appeals to common sense, that just…gets under my skin. Even after so much effort has been expended for their benefit – i.e., which part of “Way Worse Than Being a Dentist” didn’t you understand? – these piteous creatures patiently queue up for their punishment, hungry to “learn to think like a lawyer.” If your resolve weakens, and pity prevails over contempt, you might mistakenly engage one in conversation. For your trouble, you’ll receive an earful of a clueless pipsqueak’s master plan to save the world. Because – you hadn’t heard? – that’s why he’s going to law school: The betterment of humanity. Because that’s what the world so desperately needs: Another lawyer. Somehow or other, these automata get it into their programming that, if they actually did want to save the world, becoming a lawyer would be a sensible way to do it. They are unaware of how imbecilic their words sound to anyone not entirely befuddled by the miasma of law school propaganda. Law schools inundate proto-lawyers with ‘lawyers save the world’ nonsense, cramming their crania with musty tales of Brown v Board of Ed. That’s because the schools are well aware of the likely effect of such indoctrination: Greasing the rails to the killing floor. If a kid can tell himself he’s going to “change the world” – as opposed to, say, “make a lot of money and feel like a big deal” – then he’ll line up that extra bit more smugly for the $160k/year that makes his eyes roll up into his head and a little string of drool form at the corner of his mouth. It’s simple: If you can tell yourself you’re doing it for the good of humankind, you won’t feel so guilty selling out in the most soulless, stereotypical way imaginable. 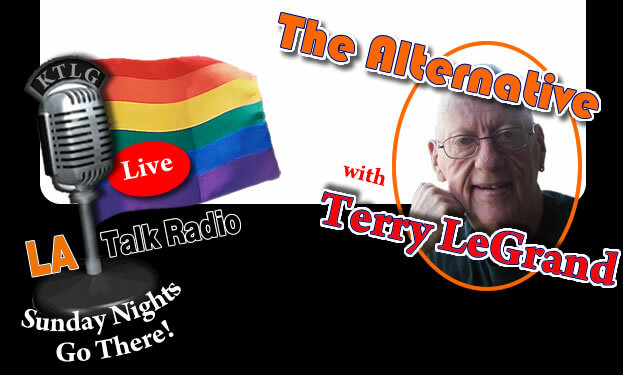 This month on “The Alternative” with Terry LeGrand we discussed a particularly troubling topic – suicide among LGBT teenagers. You can listen to the show here. My segment starts about nine minutes in, but as always, it’s worth sticking around for the whole show.